Lotus root is often cooked in soups during Chinese New Year, but how about adding another alternative to the dinner table? This recipe was first published in Flavours. 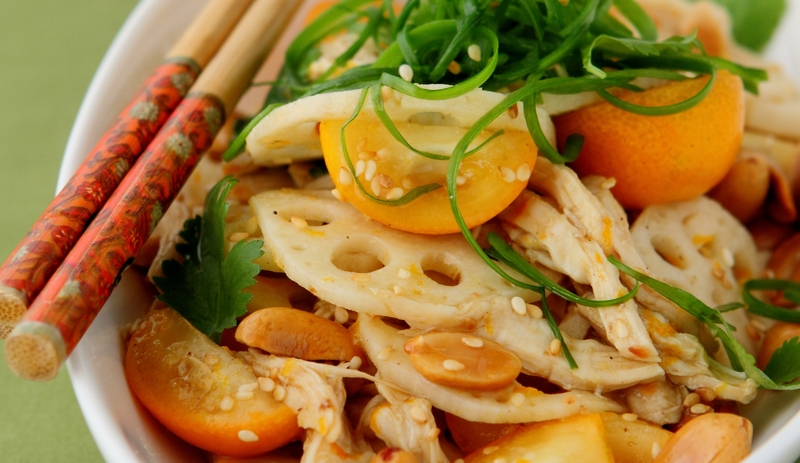 Marinate lotus root slices with marinade ingredients for 1 to 2 hours. Drain lotus root slices in a colander just before serving. In a bowl, combine dressing ingredients. Toss with lotus root slices and the rest of the ingredients. Adjust seasoning to taste.